Actually, no, phone us instead and let us know you’re out there! We’re listening for you. Humans have an inbuilt curiosity and when that is coupled with a daring imagination, the universe opens up. In 1865 Jules Verne imagined a “projectile” that carried human beings to the moon. Project Apollo was successful in landing man on the moon in 1969 in a manner not too dissimilar from the science fiction story. There are many scientific breakthroughs that began their life as figments of a science fiction writer’s imagination. One example is H G Wells’ Martian heatray – a non-lethal variation of which is used by the US military. Isaac Asimov imagined cordless appliances well before our mobile phones. He even postulated that mankind would become a race of machine tenders. This is scary in the light of robotic production lines in factories and the genuine threat of less jobs for real humans. Even the Jetsons (a cartoon series – does anyone else remember it?) had robot maids and moving walkways. So to believe that there is extra-terrestrial intelligence lurking somewhere in the universe is not too farfetched, is it? Some would suggest that terrestrial intelligence is an oxymoron anyway. We are limited by what we know of life. Life on earth is carbon based. The laws of physics determine the parameters of the universe as we know it. The speed of light is constant, although while light normally travels in a straight line, going past a black hole can bend it a little. If there were to be life on other planets in the universe, could we expect it to be similar to ours? Our imaginations are limited by our experience. Granted, that is changing all the time. But within our limited frame of reference, we tend to assume that if anyone is trying to contact us, they must be more technologically advanced than we are. If that is the case, how would we recognize such communication for what it is? We are more likely to write it off as an electromagnetic anomaly. 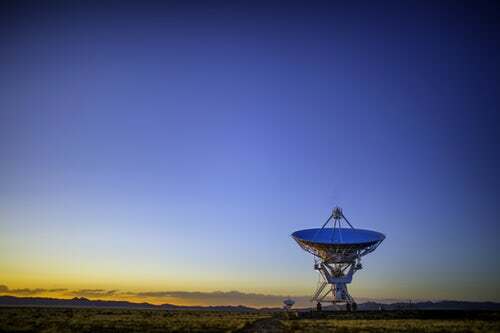 SETI, the Search for Extra Terrestrial Intelligence, is focused on finding earth-like planets and analyzing the electromagnetic spectrum in the hope of noticing anything that might be construed as communication. Is it arrogant for us to assume that if there are sentient beings out there, they might also be motivated by the same sort of curiosity and thirst for knowledge that we have? Therefore they might be actively seeking out other sentient beings in the universe and we might just pick up on their communication. The discoveries of extremophiles – microorganisms that can survive in conditions that are incredibly hostile to life on earth – have fueled the idea that such things may be found elsewhere in the universe. While encouraging, this would not be proof of sentience. About a week later I noticed an even smaller paragraph that retracted the original statement, saying that the bursts of energy were attributed to a microwave oven being used to heat up a meal! Red faces! However, the search goes on, with tantalizing, inexplicable radio bursts being detected even recently. I am a Christian and I thoroughly enjoy science fiction – the kind with scientific veracity rather than the dodgy supernatural weirdness. I grew up on Dr Who, Isaac Asimov and Arthur C Clarke. So I have wondered about life on other planets. The Bible doesn’t even give any hints about the possibility. But then it was never intended to be a scientific text book and it was written for a specific purpose. I have heard some Christians get very upset about the suggestion that there might be life somewhere else in the universe. They use the teaching in Hebrews to justify that there cannot be any other life anywhere. Jesus came to our world to redeem us. There is no clue about whether he did the same for any other world. Assuming that God made the entire universe, the same principles of sin, forgiveness and reconciliation would apply universally. So would Jesus have gone to other planets to do the same redeeming work? That seems a waste of resources. So if any ETs contact us, are we duty bound to tell them about Jesus? We just don’t know. So ET, phone us – we’re listening! 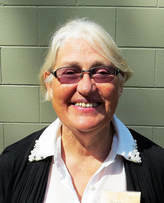 Aira Chilcott is a retired secondary school teacher with lots of science and theology under her belt. Aira is a panellist for Young Writers and indulges in reading, bushwalking, volunteering at a nature reserve and learning to play clarinet. Aira is married to Bill and they have three adult sons. FALSE TEACHERS EXPOSED! Rob Bell, Brian Houston, John Piper, Bill Johnson, CS Lewis, Martin Luther....anyone is fair game. The internet is full of articles and videos of preachers and teachers. Three churches have been attacked in Sri Lanka as Christians came out to celebrate the resurrection of Jesus at Easter Sunday services.